Joliet Bankruptcy Attorney | Johnson & Johnson, Ltd. When you have financial difficulties it can take a toll on every aspect of your life. Those with money troubles often deal with stress on a daily basis. Sometimes you may not think you will ever be able to get out from under your debt. However, there is hope! Bankruptcy is an option that will bring you an almost immediate relief to your problems and help you begin anew. While bankruptcy can help many people, there are many decisions that need to be made regarding it. In order to make the best bankruptcy choices, it is advisable to seek guidance from a qualified Joliet bankruptcy attorney. Your Joliet bankruptcy attorney understands the options available and will assist in determining how to move forward. Possible Prevention of Home Foreclosure – If you have equity in your home you will want to try to protect it. Filing for bankruptcy before foreclosure could save your home. Ability to Keep Your Home and Major Belongings – Some forms of bankruptcy allow you to keep some or all of your possessions. Puts a Stop to Wage Garnishing – Bankruptcy will help you avoid making automatic payments that are taken out of your payment. Ends Creditor Phone Calls – Your creditors must immediately stop calling you for payment once you file for bankruptcy and can only contact your Joliet bankruptcy attorney. Starts to Repair Your Credit – Upon filing for bankruptcy, you can begin to rebuild your credit. You may even begin to start getting new credit options in some cases. Immediate Relief to Debt Stress – Stress of debt can be debilitating and unhealthy. Once you file bankruptcy you will feel relief as the financial burden will be lifted. However, there are some drawbacks to filing for bankruptcy, so you will want to discuss all of the available options and consequences with a Joliet bankruptcy attorney as soon as possible. Chapter 13 may be the preferred method of filing bankruptcy because it sometimes has a better impact on your current and future finances. Chapter 13 lets you keep some, if not all, of your assets. Your Joliet bankruptcy attorney will help you put together a plan where your debt will be consolidated into affordable monthly payments. Of course, if you are not currently employed, you may not qualify for this type of bankruptcy. Instead, you have the option of filing Chapter 7. 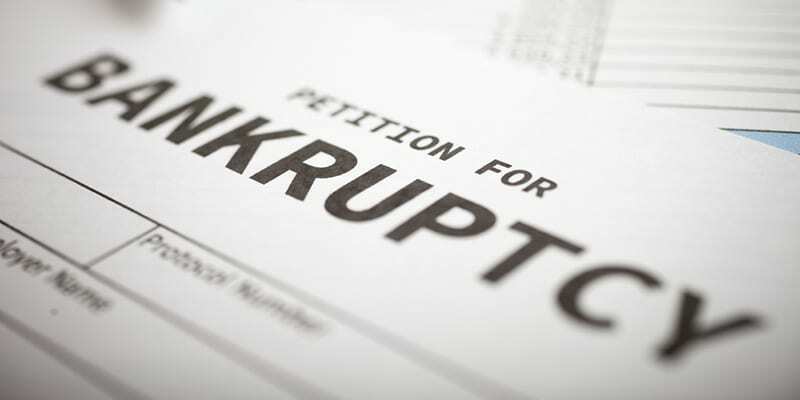 Chapter 7 bankruptcy may require you to liquidate your assets in order to provide as much repayment of debt as possible. Regardless of your financial situation, there is a way to resolve your debt problems. Consult with an experienced Joliet bankruptcy attorney to learn more about how to handle your specific case. You can utilize bankruptcy as a way to instantly rid yourself of your financial burdens so you can gain a new start. It is important to note that a bankruptcy will stay on your credit history for a period of time, however, it is often better to show that you have taken control of the problem rather than to continue to fall further behind in debt. As your Joliet bankruptcy attorney will inform you, resolution of your financial problems begins with filing for bankruptcy. Immediately upon filing you will notice that a burden has been lifted from your shoulders. You will have less stress and be free of harassing phone calls from debtors. To take advantage of bankruptcy immediately, discuss your finances with a Joliet bankruptcy attorney. If you are having severe financial difficulties, it may be time to take action. You may require help to get past your money troubles and get a new beginning. Bankruptcy, while not the answer for everyone, may be the solution that is best for you. The first step is to review your debt problems with an experienced Joliet bankruptcy attorney. Your Joliet bankruptcy attorney will work with you to determine the best options that are available to help you fix your debt problems. Taking action now will help you secure your financial future and guard your finances. Once you have decided to move forward with bankruptcy, your Joliet bankruptcy attorney will assist with the necessary legal forms and filings. Filing for bankruptcy is easy when you have the direction of a knowledgeable Joliet bankruptcy attorney. The skilled legal team at Johnson & Johnson, Ltd. have years of experience in providing bankruptcy help to our clients. We know how difficult this time can be for you and are here to answer your questions and assist you in choosing the best solution for your needs. Contact our law firm today to schedule a meeting with a Joliet bankruptcy attorney.